Whether you’re pouring a driveway or sidewalk, using a concrete mixer dramatically speeds up your construction process. However, as the team at Childers Concrete Co. in High Point, NC, notes, you can’t simply show up at a site with your concrete mixer and start pouring right away; you must take care of a few essential tasks first. The first thing you need to do is prepare the site for concrete pouring. This primarily involves physical work, such as marking the location of the slab, flattening sloped ground, and determining whether you need to removal any soil. Familiarize yourself with local regulations, which could determine whether you need to get a permit before pouring concrete or if there are limitations on where you can build. Your next step is to prepare for pouring the slab. Use straight, sturdy wooden boards to create the form for your concrete slab. Adding steel bar to the form is also strongly recommended, as this will reduce the risk of cracks and other damage after the concrete is poured. Additional gravel buildup for the base may also be necessary to improve drainage. As important as it is to prepare the site, it’s also a good idea to get everything ready for the concrete mixer. Plan to pour the concrete on a dry, mild day. Take accurate measurements so you know exactly how much concrete is needed, and plan a route that enables the truck to back up directly to the pouring area. Planning for small details will help you avoid big problems. 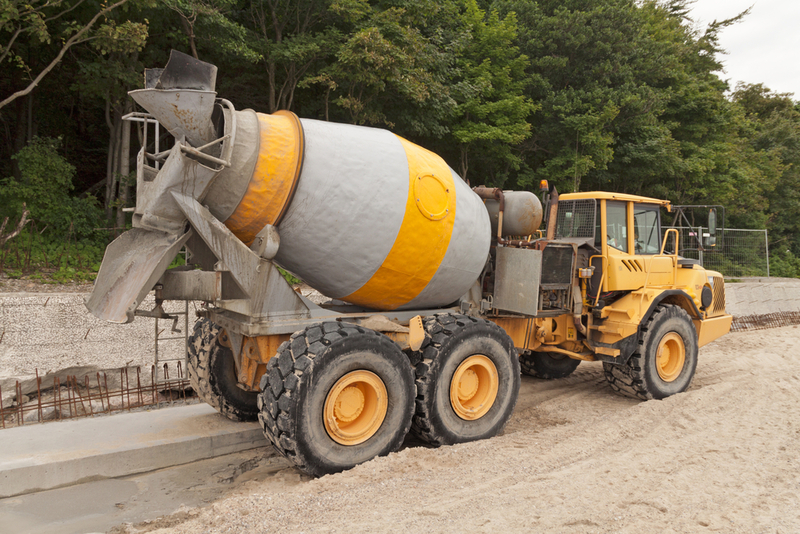 By providing ready-mix concrete, the team at Childers Concrete Co. will help your next project be a success. To learn more about the projects these contractors can undertake, visit them online or call (336) 841-3111. Can You Clean Your Concrete Patio With Chlorine Bleach?